Along with weight loss, moving into better surroundings and general self-improvement, many online marketers make it their New Year’s resolution to double, triple or quadruple their traffic in the coming months; and nothing does so as effectively as contest marketing. With the right contest aimed at the right hungry audience, anything is possible. Hopefully you have a general network of followers that you can pitch your contest to. If you don’t, not to worry. 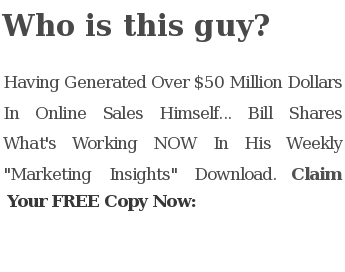 The following will help you not only build up a healthy following, but you’ll soon be whipping that audience into a frenzy of excitement using contest marketing as your catalyst. You need a captive audience for contest marketing to be truly effective. You could hold the biggest 2014 contest the world has ever seen and it will merely fall flat if you only have a few followers keeping up with your latest goings on. To build a following, you need to cast a wide – but targeted – net. Here is how you do just that. 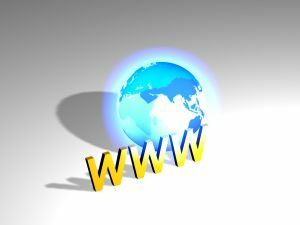 Most online networks start with a website, which generally acts as your home base. 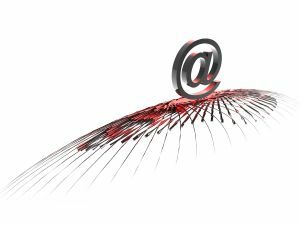 You should then start an opt-in list from that website, which will keep your audience on the hook with valuable emails sent at regular intervals. A blog can then be started from the website, with each post then shared on the various social networks: Facebook, Twitter, Google+, Pinterest and so on and so forth. With regular attention and extremely valuable content, your business will remain fresh on the minds of your prospects, and it’s only then that contest marketing should be initiated. You can build hype for your contest marketing efforts by announcing your contest way in advance on your website, in the aforementioned marketing emails and on your various social networks. You might mention the prizes you plan to offer along with your contest announcement. The better the prizes, the more excitement you will effectively generate. The best prizes tend to be tablets, such as the iPad, Surface and various Android tablets; but you can also offer low-cost prizes, such as social network exposure or discounted products from your own inventory line. You know your audience better than anyone else, so conduct the proper research, find out what your prospects are interested in and offer those products and services as enticements to really ramp up enthusiasm for the contest you plan to hold. It’s best to go for quality rather than quantity when it comes to 2014 contest ideas. The more contests you hold, the less excitement you will build. Your audience will just get into the habit of thinking that they can join subsequent contests since a new one should come along any day. The fewer and more quality your contest are, the more attendance you will experience and the hype you generate will be off the charts. Here are a few contest marketing ideas to get the party started. Photo & Video Contests: With image-focused social networks like Instagram and Pinterest thriving, and with YouTube and other video sharing networks on everyone’s minds, prompting your followers to send in their best photos and videos is a great idea for a 2014 contest. Ask your followers to send in their best entries, pick the top three to five and award prizes to the winners. Talk about excitement and exposure. Quizzes & Trivia: Challenge your followers to put their brains to the test by asking a few quiz or trivia questions. The first followers to send in the correct answers win a prize. Just make sure the contest ideas aren’t too easy. Seasonal Contests: Halloween costume contests, valentine ‘best looking couple’ contests and holiday decorating contests are just a few ideas you can use to bring an extra amount of joy to this year’s most favorite seasons. Creative & Best Idea Contests: Do you want to develop the next best app, but you’re all out of ideas? Ask your followers to join in on the brainstorming session by turning it into a 2014 contest. This can also work for logos, taglines and even sales copy. Or just ask your followers to enter their favorite jokes, stories and even books. With all the creative talent out there, you are sure to get a few very interesting entries. Point-Based Contests: This contest marketing idea can be used by itself or in conjunction with one or more of the following ideas above. Ask your entrants to join your contest, whereby they will be awarded points. The more people they entice to join the contest, the more points they will earn. The person with the most points wins the contest. This helps to build hype around your contest and participation should improve no matter what prizes you choose to award. Get your audience hungry for gaining more points and then sit back and watch what happens. With these 2014 contest marketing ideas, you should be able to cast your net and build excitement that translates into more followers and more sales when all is said and done. Play around with various ideas until you find one or more that resonates with your audience if you truly want to win big at contest marketing. This entry was posted in Contest Marketing and tagged 2014 contest, 2014 contest ideas, contest marketing by Bill. Bookmark the permalink.